I am a long-standing admirer of John Steffler's work. I find his beautifully crafted poems, with their deft use of language, visceral and epiphanic. The senses cannot help but come alive reading lines like "the tramped grass steamy as seaweed in the migraine / of noon" or "the bone flakes encrusting a bracelet / of kelp," but what sets this work apart is the understated manner in which it asks questions of the reader. What may seem quotidian is suddenly shifted, revealed to be strange. Landscapes become surreal or ominous, borders between what we consider animate and inanimate suddenly blurred, leaving us to think about the complex relationship we have to the constantly shifting world that surrounds us. I doubt anyone can look at hills the same way again after reading the line "the hills no longer playing dead / the way they do in the daytime, but sticking their black / blurry arses up in the drizzle and shaking themselves, / heaving themselves up for another night of / leapfrog and Sumo ballet.” I know I remain haunted by the bizarre and perfect movement suggested by “Sumo ballet” long after I leave the poem. When I return to the world after reading Steffler's poems it is with renewed insight, with a newly calibrated way of relating to the world. 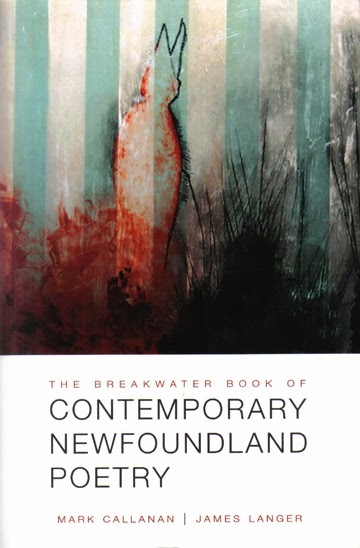 The ten poems chosen for Breakwater's Contemporary Newfoundland Poetry have been taken from The Wreckage of Play, That Night We Were Ravenous, Lookout and The Grey Islands. It is a sample of John Steffler's work that is sure to whet readers' appetites but may leave them ravenous for more. Vanessa Moeller is a writer, editor and translator. Her first poetry collection is entitled Our Extraordinary Monsters.